Cocktail trends come and go, but tequila (good tequila) is always in fashion and this summertime cocktail is sure to satisfy your most fashionable of pool guests. This spicy twist on a fruit margarita is the perfect way to enjoy your summertime watermelon - not too sweet, yet still refreshing with a smoky kick that keeps you coming back for more. The key ingredients of this recipe: Tequila + jalapeno + watermelon + lime juice. As with all apothecary concoctions, the devil is in the quality of the ingredients. Make sure to use fresh ingredients - meaning, no frozen, canned or prepackaged juices or purees. 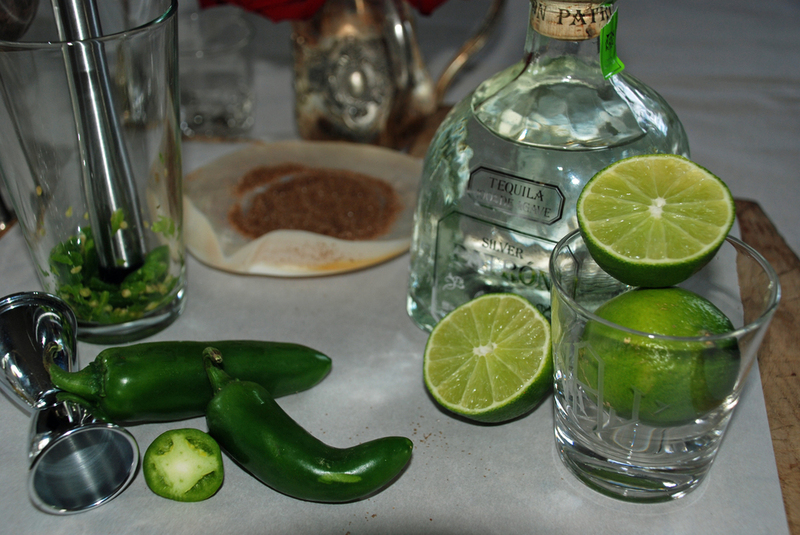 Muddle the jalapeno in a shaker or beaker. Add tequila, lime juice, watermelon puree and agave nectar. Shake with ice and strain into glass filled with ice and rimmed with hickory smoked salt. Garnish with a slice of watermelon and lime wedge. Muddled jalapenos and smoky salt to rim the glasses.